All our independent walking holidays in Croatia are researched in depth, with everything taken care of for you, so that you can just turn up and walk, and every independent walking holiday in Croatia that we offer takes you off-the-beaten-track to discover the true culture and atmosphere of Croatia. Click on the appropriate 'View Holiday' button for further details, take a look at our activities section for further information about how our independent walking holidays work, or see our Croatia page for further information about our holidays in Croatia. 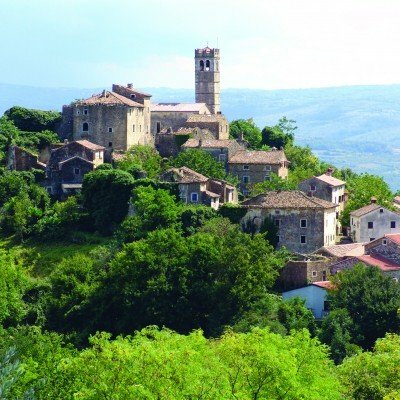 Explore the beautifully unspoilt province of Istria and discover a timeless world of Venetian castles and Renaissance palaces set amidst lush valleys. Orchards, artist villages and vineyards predominate inland, with delightful bays and marinas along the coast.